At the Friedman School, students learn to plan and evaluate nutrition interventions, and discuss their impact on families and children around the world. However it’s equally important to put that knowledge into practice. Apart from summer internships, there is another way that students can gain field experience while classes are still in session. I met with Mimi DelGizzi, Volunteer and Course Coordinator of Share Our Strength’s Cooking Matters program in Massachusetts to chat about the program and learn how Friedman students can get involved. Cooking Matters is a national cooking and nutrition education program that follows the “If you teach a man to fish, you’ll feed him for a lifetime” model. The program provides families who are at risk of hunger with tools to maximize their available food resources. Volunteer chefs and nutritionists (often dietitians or nutrition students) teach low-income families how to shop for and prepare healthy, affordable meals. Cooking Matters Massachusetts is filling a unique need in the community. “A lot of the people in the community have access to programs that aid them in accessing food. Even though people qualify for federal programs, they aren’t taking advantage of them due to stigma or lack of knowledge. We are filling that gap. We teach community members how to best use their limited resources,” said DelGizzi. And courses are tailored for adults, kids, or teens so that the right information is getting into the hands of those who need it; information such as how to make a delicious and satisfying ‘Brown Rice and Orange Salad,’ one of Cooking Matters’ 15 Favorite Recipes. 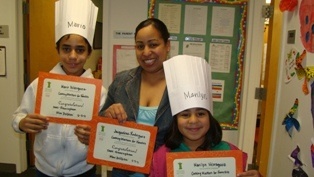 Cooking Matters Massachusetts recruits program participants through local service agencies such as WIC clinics. Participants are encouraged to attend one two-hour class per week for the full six-week period where they learn how to spot a whole grain, how to decipher a nutrition label, and how to navigate the grocery store aisles, among other skills. 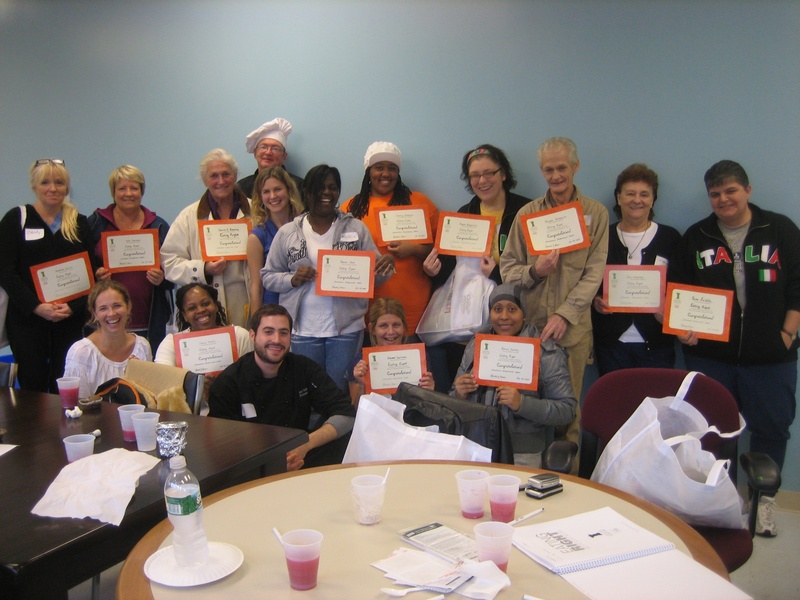 DelGizzi comments, “We provide a safe environment where people can learn how to cook, and learn how good nutrition affects their health.” Program participants receive a graduation certificate after completing the course, a unique attribute, which is “especially important to someone who may have never graduated from anything before,” said Mimi. What benefits do volunteers receive from the program? Nutrition volunteers have the opportunity to practice teaching the knowledge they have learned in class to a captive audience, and to make a real change in families’ eating and food-shopping habits. If students do not feel ready to teach a course, they can also serve as class assistants, helping to prepare recipe ingredients and take-home grocery bags. I asked Mimi what she thought new volunteers should know about the program before diving in. She noted that while it can be challenging to bring together such diverse groups of class participants and volunteers, nearly all groups eventually hit their stride. The diversity is what makes the learning environment so rich. Course volunteers often gain as much knowledge as the participants, which may be Cooking Matters’ greatest asset. It’s this shared learning that keeps volunteers coming back again and again; some even earn a spot in the Hall of Fame! Meghan is a second-year dual Master’s student studying Food Policy, Nutrition and Public Health. She is passionate about preventing chronic disease through behavioral, policy, and communications interventions or campaigns.